This is an excerpt from a series by S.B. Veda to be published in various forms, the first of which was read at Worlds Literary Festival, Norwich, June 17, 2014 and is published here. 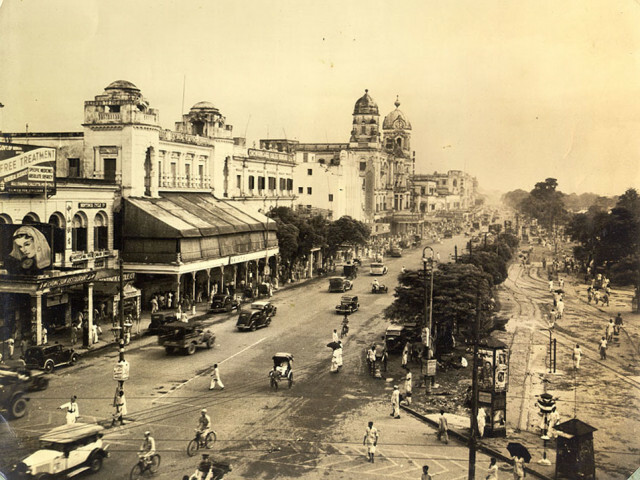 Upon arrival back to Calcutta, my wife was surprised at how much the metropolis, increasingly citified, had changed in the brief span during which she was away. Three years on, I feel that the Calcutta, which I knew, that anchor of culture on to which I used to grip during the daily tumult of crossing the border of our Eastern home and the larger Western World, is dissolving into ether – no longer a corporeal presence. A phantom. Those of us who can remember it, those of us who experienced it, are haunted by its presence whether real or imagined, which still makes an impression even as its impact fades. But enough of history and politics – let’s get back to the ghosts: I first saw one in my late twenties. Our annual trip to Calcutta had gone a little late, and crossed the date of the Festival of Saraswati, Goddess of learning. I remember seeing the idols of the Goddess being made and sold on the street. Many of them elegantly depicted her, sitting with her swan, in a white Sari. 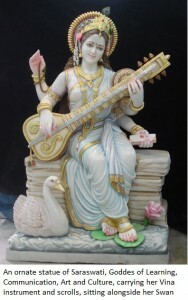 She is depicted holding an instrument made of wood called a Veena with a long hollow neck, several strings, and a large gourd-like base, designed to resonate deeply. Yet, on that winter’s day near the turn of the 21st century, the sound of the mantras was interrupted by a loudspeaker, playing the popular western hip hop dance hit, “Who let the dogs out” – and this too, over and over again. The sound of it, the reverberation of the thunderous base, the turbulence of the blustering words, “Who, who, who, who let the dogs out,” violated the sacred space, he had created in his mind for the Goddess, owing to years of experiencing this day in the same way. The result was an obscenity, an anathema. It drove my father mad. I have my own ghosts, too. I was introduced to this city during a period before the beginning of memory, at age six months when my parents brought their first born home from London, England – my birthplace, to show the extended family. I’d like to think I soaked in some of the culture of Calcutta, even then – but surely since. In fact, so much of the adsorption remained that I returned there on my own to study my culture in my early twenties. 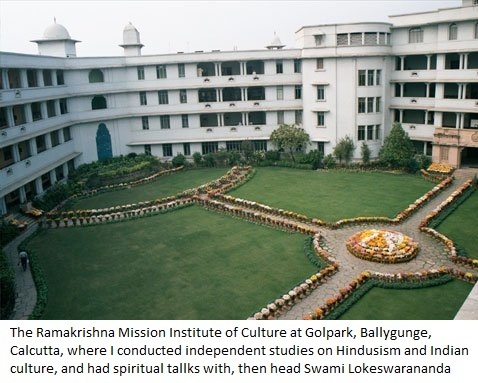 I studied Hinduism at The Ramakrishna Mission Institute of Culture, staying at their International Scholars House, during summers in Calcutta. The institute is located on an island of greenery in a sea of concrete, metal and glass at one of South Calcutta’s busiest areas: a place called Golpark where, at a roundabout, the statue of its founder, Swami Vivekananda stands prominently, perhaps watching the movement of souls. He would have watched over me, then, just as I would have wanted to take in some of his wisdom. 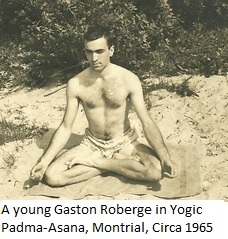 I was particularly drawn to the idea of union with God through Karma or work, the concept of working for its own sake, without laying ownership to the fruits of that labor – a form of renunciation that did not involve removing oneself from active life. The practice is called Karma Yoga, and I was first exposed to it when reading the Bhagavad Gita, and later in the wrtings of Vivekananda. During morning chats with the head of the Mission, Swami Lokeswarananda, I asked him how an ordinary person could reach such a state of even-mindedness that success and failure could truly be viewed as the same impostor, as Kipling, had so eloquently put it. He advised me that Karma Yoga was best practiced when the aspirant is engaged in activity that is in keeping with his own nature, else he risks it becoming a chore. He said, one ought to take pleasure in the doing, embody the action of acting rather than being preoccupied by the result. I could see the application of it in artists, musicians, some academics, and certain pro athletes – but could it happen at a mundane job? Surely this was an idealistic fantasy! In that sense, I questioned its practicality, and wondered whether anyone had observed it in the labor class? I could scarcely imagine a sweeper’s broom bringing him closer to Nirvana with each pass. Upon seeing my predicament, he told me to remove my shoes and step on a piece of cardboard. The idea of baring my unstained feet, in the middle of a dirty street corner and stepping on a surface that, no doubt, many others had placed their filthy soles, was something I found intrinsically repulsive. Naturally I protested, telling him it wasn’t a complicated job at all: he merely needed to wipe the substance off with cloth. Calmly, he put up his hand, arresting my excitation with his pinkish palm, saying ‘Please sir Aeta amar Dharma.’ Please, this is my job – but the word Dharma didn’t just mean job, it meant divinely inspired job, sense of purpose or duty. I was taken aback: How could I now refuse? After all, he was saying his divine purpose in life was to clean my shoes. I watched the man, size up the stain, then slowly work the sides of the soiled shoe – first with a dry cloth – then mixing some tea-colored solvent with just enough water, not wasting a drop, he moved the cloth back and forth over it. After he finished one shoe, he did the other. 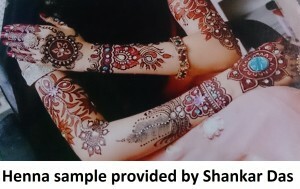 It was different formula with different sequence but he managed to make them look exactly the same – all without shoe polish. He spent roughly half an in the burning sun on this mundane task when he could have easily gotten out of it by following my initial instructions. 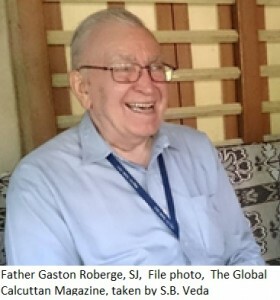 It was at that moment that I realized that I could not say the same to him, for my first job was not my divine purpose in life. I did it for money. Did that make me a whore? No. But it didn’t make me a Karma Yogi, either. I knew, too, that I had found, at long last a laborer, who worked simply for its own sake without laying claim to the fruits of his efforts. More importantly, he seemed to have found something divine in the doing. I understood in that moment that, even unpaid, I should take up the pen, simply because it was in my nature to do, and was something for which I made too little time. It was a lesson, which, in time, I forgot after my return to the rat-race of working life in Canada only to be recollected and followed when I came to spend more time here: a life-changing lesson from the streets of Calcutta. I will forever be grateful to Calcutta for that. I am aware of the community of merchants from the Marwar Region of South Western Rajastan, who have flourished in their many commercial endeavors since arriving. She is all but nineteen, and says that in her family, brides marry young in family alliances, which are made to maximize profit; her husband’s family is in real estate, and hers sells furniture. 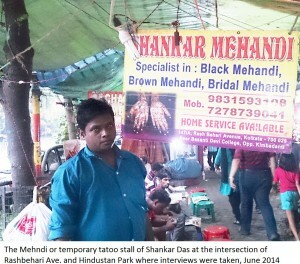 It is vertical integration, Calcutta-style. A bespectacled Bengali girl standing behind Padma holds a mouthful of smirk, which I cannot help but notice, asking her name. ‘I am called Jhinuk’, she informs me, elaborating that these days, among college-educated girls in Calcutta, only those who can’t socialize properly or come from extremely conservative families get arranged marriages. She says most kids date, sometimes in the open, sometimes in secret but whatever the case, families accept the consequences, even inter-religious ones. I find this hard to believe. Still, when I arrive home for lunch, I am confronted with evidence that seems to support what smirking Jhinuk has told me. I arrive to the scene of our cook, who has been absent for several days, sobbing to my wife about her daughter. Between choking on certain words, she tells us that the girl has run off with a boy from a neighboring village. Brilliant article. Echos my sentiments, exactly. I loved the part about the wise shoemaker. He truly is a ghost, today! Keep it up! Wonderful glimpses of the city that was and that is. Excellent! Reading this article brought tears to my eyes. I too feel the legacy of a great city is fading. The metaphor of ghosts is quite apt. Beautifully written, and evocatively described. Great piece of feature writing! Fantastic article – makes me want to see the place myself before it dissolves into history. Keep it up! What a city! I never thought of Calcutta in that way. Makes me wonder why it isn’t a more popular destination to visit for those who really want to know India. Loved the article! 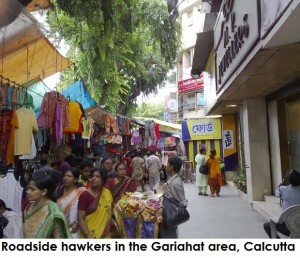 Calcutta vs. Kolkata – who knew? Now, after reading the article, I feel like I know, and have traveled there in my mind. Well done! Calcutta was a great city! Thank-you for keeping the culture of this place alive. Let us all be haunted by the Ghosts of Calcutta! C’est magnifique. I was riveted from the first paragraph! A gem on the web. I long to read more. I was impressed by the elegance of the writing, and the clarity of observation. This should be the stuff of literary magazines. Write on, SB Veda! Brilliant! It’s so rare to find content of this quality on the net. Keep it up! Wonderful piece. I loved the memories of Saraswati Puja, the Muchi of Golpark, Mehndie hawker, and Father G. Terrific story telling. Makes me momentarily thankful to be a Calcuttan in the thick of the daily struggle. Fantastic! Fascinating.I always longed to be in Kolkata,but it was not possible.You style is brilliant. Thanks for your details you supply by way of this fabulous website, My partner and i has been served to find the facts We was looking for and also need.